Time Zone: Antarctica has more than one time zone. How can you travel to Antarctica? Antarctica is still considered an exploited tourist destination. About 30,000 tourists visit this continent every year. The continent is populated by mostly penguins, sealions and seals. Almost all the humans who stay there are researchers. There is no schedule flight to Antarctica, and there is definitely no hotel on the continent. So, here are the options to visit Antarctica. There are private scenic flights that leave from Australia and Chile to the South Pole. They generally cost around $2,500 per person. However, flights will not take off unless they have enough people signing up for the trip. Most trips last for about ten to twelve hours. Keep in mind that not all flights actually land on the continent. Some flights, like the ones offer by Qantas only fly over the continent. If you want to get a closer look, you would have to go with a smaller adventure travel company, which would give you the option to land and visit research stations, weather permitting. If you are really short on time, this might be the best option. There are sailings departing from Argentina everyday from November to March. You can choose to either sign up with a cruiseline or with a research vessel. Generally speaking, a research vessel is more expensive. Most people pay approximately US$10,000. Even at last minute prices, you will be looking at at least US$4,500 per person. Depending on the size of the research vessel, the number of passengers ranges from 40 to 150. So, you will have a lot of time visiting each island and research station. 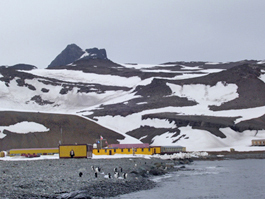 Some ships even offer visitors the option to camp on the Antarctic peninsula for a night. The price of going with a cruiseline is usually lower than that with a research vessel. There will be a lot of people on the ship. The duration of the trip tends to be shorter, around 8-10 days. Each landing will be restricted to an hour time. Basically, you do not get to see or do as much as if you were to go with a research ship. This is by far the best option if you are an American citizen, and you have the time to do it. Each year, they hire about 3,000 scientists and support staff in the summer. You will be trained on Antarctic survival before flying out of New Zealand on a cargo plane. This way, you get to spend four to six months in areas where other tourists will never get to visit.